iTransact offers a one stop solution for processing credit card purchases, debit cards, and checks. Offering quick merchant account setup options for your website or traditional business, they offer virtual terminals, wireless services, or traditional point of service card processors. The gateway for online merchants offers wide compatibility for integration into your own shopping cart system or if you prefer they offer a free shopping cart of their own so that you can quickly begin processing credit cards for your online sales. I shopped many companies before settling on iTransact. They were far more superior and offered many more choices than any other company I looked into. 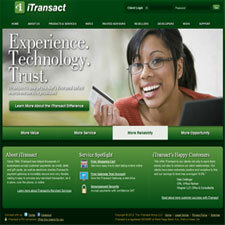 I would highly recommend iTransact for all your merchant account and internet gateway needs. I signed up a merchant account with iTransact a few months back and have loved the service. They are prompt to help if issues arise and are priced lower than other providers. I’d choose iTransact again! I have a busy practice that takes a lot of my day so I didn’t have any time to mess around. 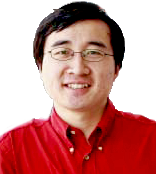 iTransact offers many varieties of processing, and setting everything was very easy. I didn’t rate it an overall 5 stars for value because you pay a bit more than a low ball company, but the service is exceptional and thats well worth it to me, someone that doesn’t have a lot of time.